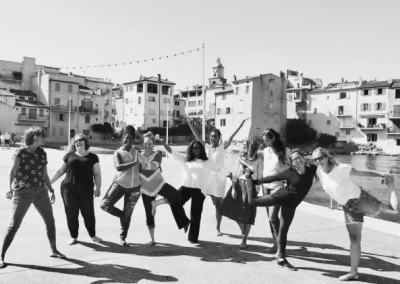 Caroline Williams Yoga (New York) was joined by a group of 9 women for her Heart + Soul spiritual yoga retreat St Tropez style, for five days of relaxation, adventure, and inspiring spiritual yoga. 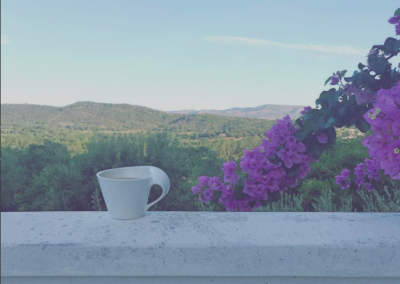 Each morning began with a relaxing spiritual yoga and meditation session, followed by breakfast on the balcony, then two hours of downtime. 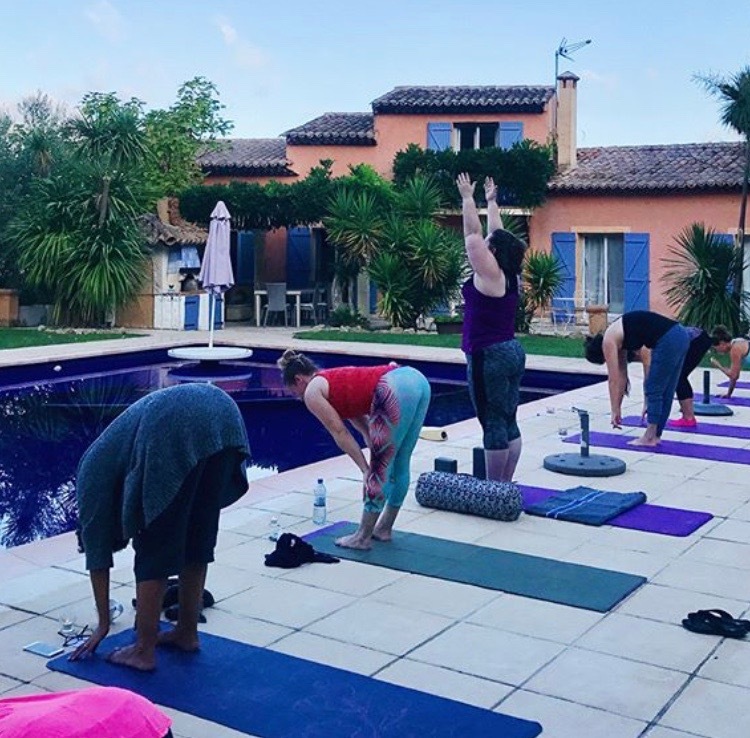 Guests used this time beautifully during their yoga retreat St Tropez style – enjoying a book by the pool, reflecting with their journals or take a walk along the many pathways that meander between the olive groves and vines surrounding Villa Tropez. 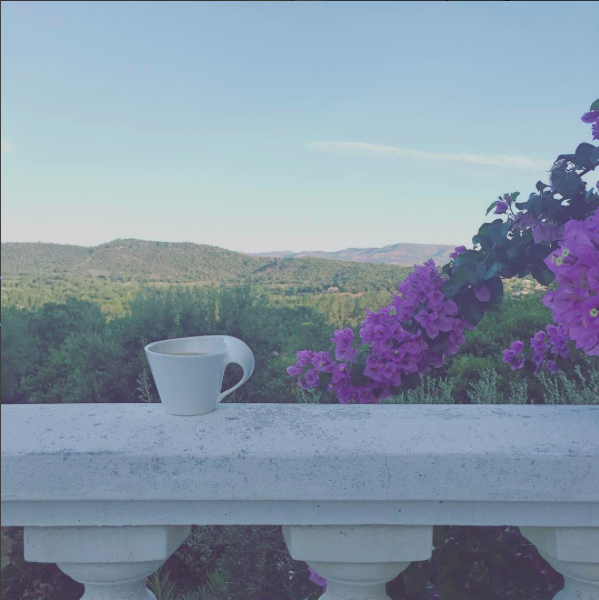 Afternoons were reserved for adventures outside the villa, exploring all the wonders St Tropez has to offer. 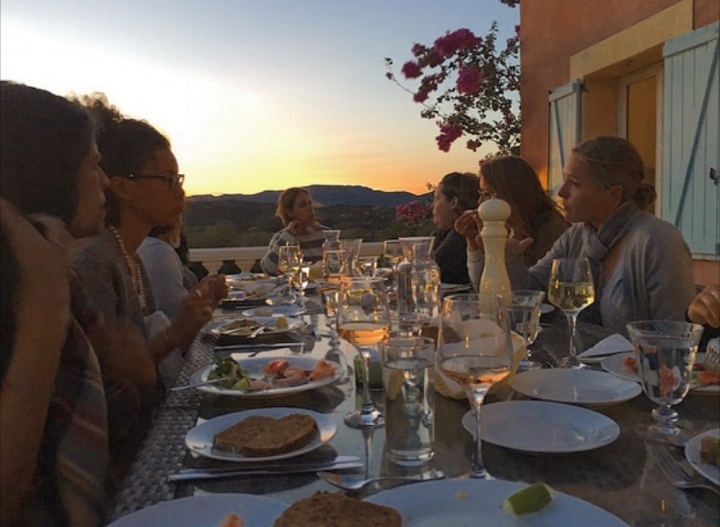 The first afternoon, the group visited the hilltop village of Ramatuelle, enjoying a delicious lunch. 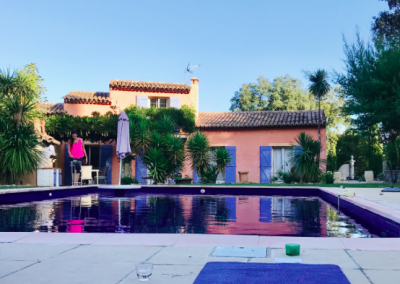 After which they visited La Madrague for a wine tour and tasting of their famous rosé. 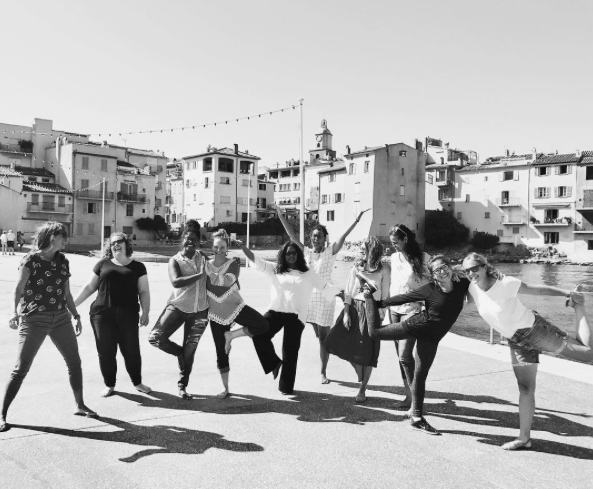 From there, they leisurely strolled to Plage de Gigaro, relishing the St Tropez sun for an hour on the beautiful sandy beach. The day was described as relaxing, and a good way to experience a little bit of everything the region has to offer. 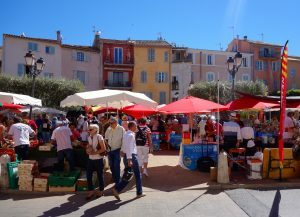 Day Two was spent wandering through bustling stands of the local market in St Tropez town. The group also chose to explore the many boutiques that call St Tropez home, famous for their antiques, pastries and local produce. 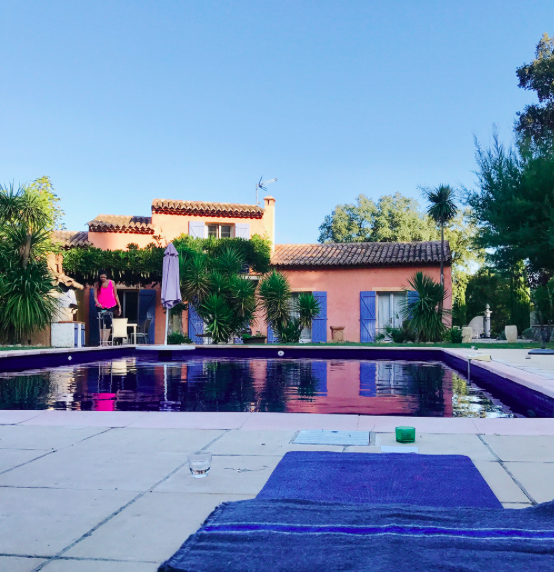 Villa Tropez provided a concierge service to Caroline, to help with the organising and smooth running of daytrip activities in the local area. 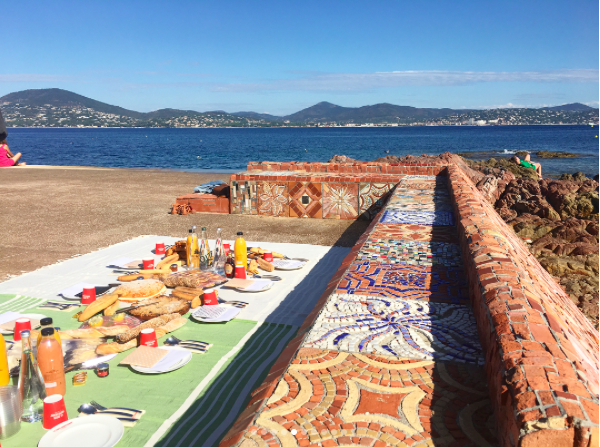 Afternoon three was a real highlight for all guests on the retreat – visiting the world famous Pampelonne beach, to have lunch at the Cabane Bambou beach club. The pre-reserved umbrellas and lounges were the perfect place to retreat after another wonderful meal. Caroline commented on the ease of the day, making it a relaxing experience for all involved. 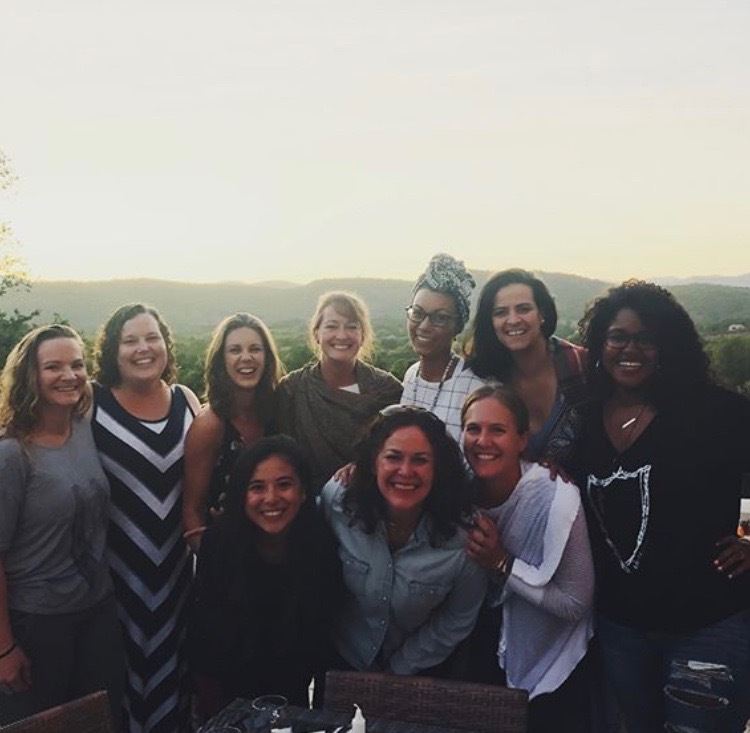 “I was so impressed with how willing they were to accommodate our big group. They allowed us all to pay for lunch and split the cost of the chair/umbrella rental”. The final day of the yoga retreat St Tropez was just as special, with a group picnic catered by Tarte Tropezienne. Caroline mentioned the bakery went “over and above” the large catering order, providing dishware and cutlery. 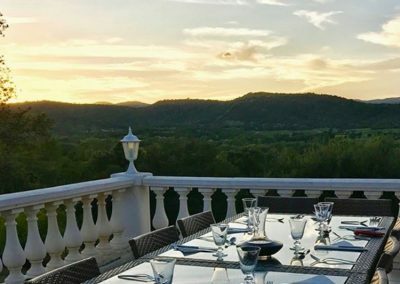 They even offered to let the group use the private third level of their restaurant if the weather wasn’t wanting to co-operate. Luckily the final day was as glorious as the rest. 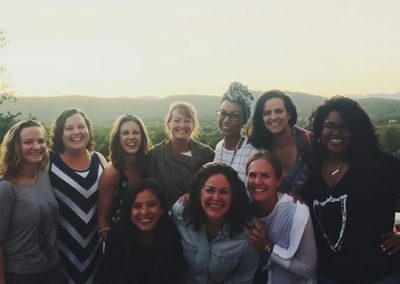 The picnic was a true success, with all enjoying the Tart Tropezienne delicacies, and views that adorned the surroundings. 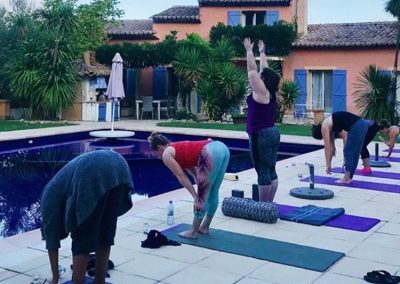 After returning to the villa each day, the second spiritual yoga session was held between 5.30-6.30pm each evening, followed by a three-course chef prepared dinner from 7.30pm, held on the Villa Tropez grand terrace, surrounded by gorgeous views of the grounds. 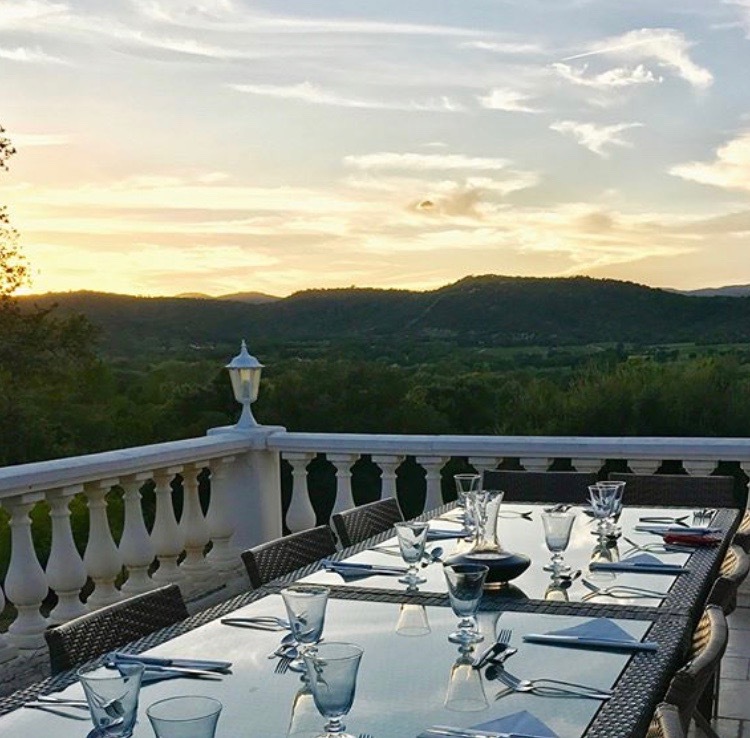 Impeccable rustic styling, a resort-style pool, and spaces with stunning views make Villa Tropez the perfect choice for your escape to the Bay of St Tropez.